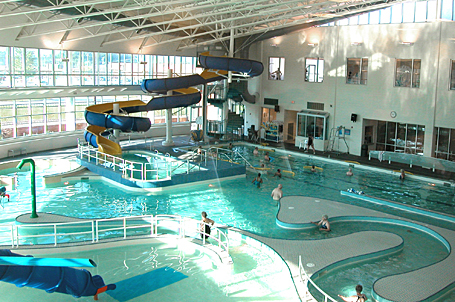 Counsilman-Hunsaker, commissioned by the City of Columbia, Missouri, designed a state-of-the-art indoor leisure pool and warm water therapy pool to complement their existing Activities Recreation Center (ARC). The award-winning swimming pools made quite a splash when they opened in 2003. Residents enjoy the uplifting natural light that floods the natatorium’s swimming pools, triple loop waterslide, three adjacent lap lanes, play feature, and two multipurpose wet classrooms.